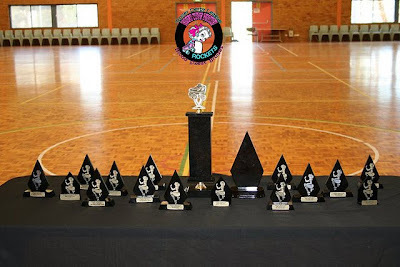 With all the hard work and dedication all the girls at SWSR put in throughout the year, we felt it was necessary to start a new tradition in our league, with our first ever "Trophy Awards Presentation" taking place at our Christmas get together. With our first first year ending, SWSR have come a long way, and with 2010 ending and a new year beginning we wanted to put together this awards day to show our appreciation to each and every SWSR member of our wonderful league. 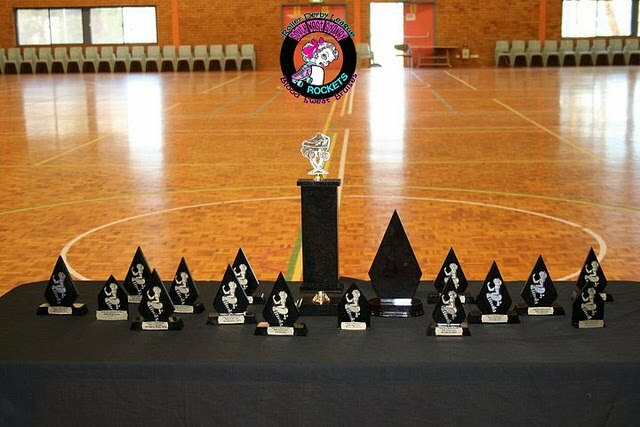 These trophies were put together and voted on by the skaters for the skaters, with fellow peers voting on each category. SWSR wish they could have awards all members a trophy, however all members know they are very much appreciated, and the committee at SWSR could not ask for a better bunch of girls to skate with. You all have done so amazing well, progressing beyond expectations, you all should be very proud of yourselves!!! and cant wait to see you all excel again in 2011 ! !